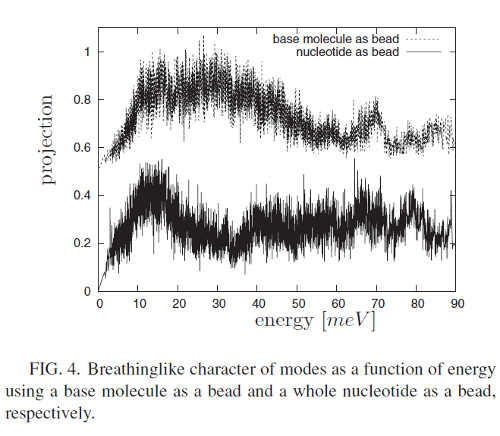 A fully atomistic model of B-DNA using the CHARMM force field is presented. The Hessian of interatomic forces obtained from CHARMM for the equilibrium structure was used as input to a large scale phonon calculation. 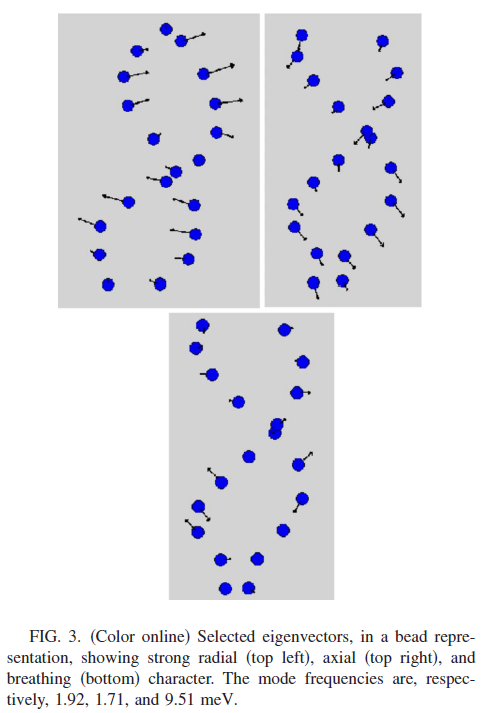 The calculated dispersion relations at low frequency are compared with recently published experimental data, which shows the model to have good accuracy for the low frequency, vibrational modes of DNA. These are discussed in the context of base-pair opening. 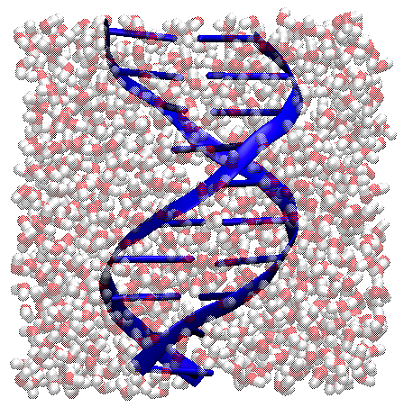 In addition to the widely reported modes at, or below, approximately 12.5 meV, a continuous band of modes with strong base-pair opening character is found up to 40 meV, which coincides with the typical denaturation temperature of DNA.